Opening Doors Association is supported by Arts Council Malta through a Cultural Partnership Agreement for three years, 2017 – 2019, by Premju tal-President għall-Kreattività for our Drumline project 2016 – 2017 and by Malta Arts Fund for The Staging of Ahdar id-Dezert in June 2017. We have a five-year Collaboration agreement with Fondazzjoni Ċentru għall-Kreattivitá (St James Cavalier) to develop an inclusive strategy plan that incorporates targeted events and activities; establish an inclusive ethos with creative partners and staff; and draft cross-collaborations with national and international networks. We have a close working relationship with Aġenzija Żgħażagħ, Aġenzija Sapport and Inspire Foundation Malta. In addition we are sponsored by Teatro Manoel; by The Box – a creative arts space in Mosta; and by Alison White Studios. 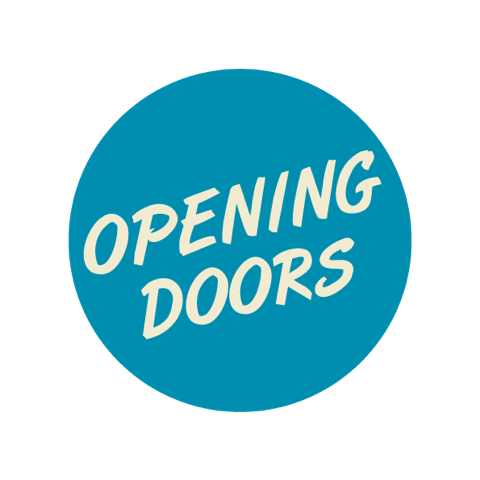 Opening Doors Association has been offered Cultural Partnership with Arts Council Malta for three years, 2017 to 2019. It is the only organisation in Malta that strives to secure artistic projects with the aim to create opportunities for people with learning disabilities to participate in artistic and creative activities locally and abroad, and to create ongoing training opportunities that would develop the creative potential of people with learning disabilities to develop artistic skills that would manifest in expressions of artistic quality. In so doing, Opening Doors’ specialised creative work falls in line with the Arts Council Malta’s strategy to work with communities that are ‘hard-to-reach’ and that have different abilities. Moreover, by regularly opening its artistic work to the public, Opening Doors tries to ensure its artistic visibility in order to develop public awareness of the contribution people with learning disabilities can make to the creative sector. provide more opportunities for people to engage in creativity by creating projects with the sole purpose of creative development. In line with this, all the training that takes place consists in engaging the Opening Doors groups of artists in creative development. To this effect, the organisation aims to continue developing its current piece Ahdar Id-Dezert (Green Desert) and tour with it locally, with the aim of reaching out to the wider community (including other communities of people with different abilities) and creating fora and spaces where more creative encounters could take place.